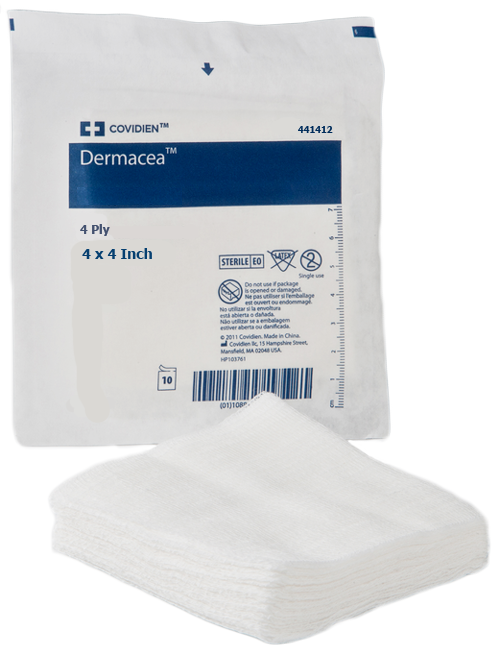 Covidien 441412 Dermacea™ 4 x 4 Inch Gauze Sponge, 4 Ply Non-Woven Sponges offer an economic choice when needing a sterile non-woven gauze sponge. 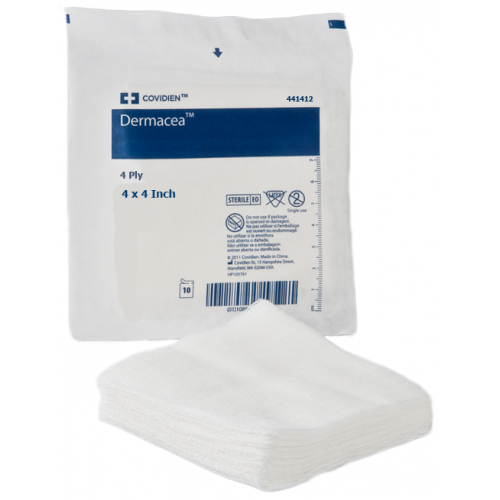 The Dermacea™ sponge is highly absorbent polyester blend. It's also packaged sterile to avoid cross-contamination when using the sponge for prepping or cleaning wounds or wiping down medical instruments, needles and more. The sponge is made with 4-ply construction and is available in a box of 50 or case of 1200 gauze sponges. When needing additional layering, check out the entire family of Dermacea™ with both sterile and non-sterile options. You may also be interested in hypoallergenic clear tape to secure the sponge in place. This item worked exactly for what I needed it. Sound card was easy with sponges to clean that absorbed well. Thnks.